Copyright © 2017 Discus Madness, Inc. All rights reserved. 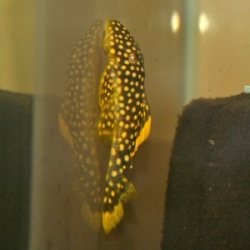 Hypancistrus zebra (L046) is also known as Zebra Plecos. 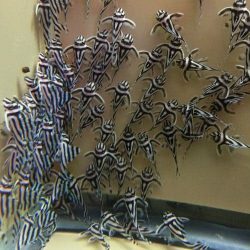 These are true Zebra Plecos. 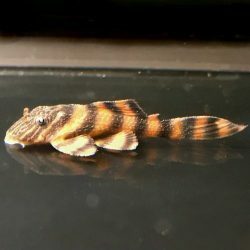 The zebra pleco is more of a carnivore than an algae eater. 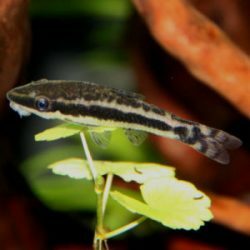 This is backed up by a small and lightly toothed mouth that indicates it is a poor algae eater. 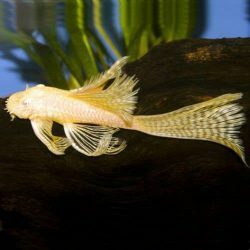 Provide mainly meaty foods such as bloodworm, discus food and even brine shrimp. 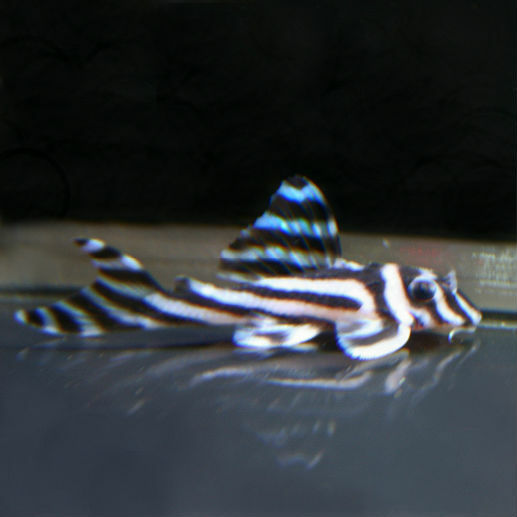 It is important to note that while peaceful, you should choose tankmates wisely as Zebras do not compete well for food with particularly fast or aggressive tankmates.